2018 HockomockSports Girls Basketball Awards 2018 HockomockSports Girls Basketball Awards 2018 HockomockSports Girls Basketball Awards 2018 HockomockSports Girls Basketball Awards 2018 HockomockSports Girls Basketball Awards 2018 HockomockSports Girls Basketball Awards 2018 HockomockSports Girls Basketball Awards 2018 HockomockSports Girls Basketball Awards 2018 HockomockSports Girls Basketball Awards 2018 HockomockSports Girls Basketball Awards 2018 HockomockSports Girls Basketball Awards 2018 HockomockSports Girls Basketball Awards 2018 HockomockSports Girls Basketball Awards 2018 HockomockSports Girls Basketball Awards 2018 HockomockSports Girls Basketball Awards 2018 HockomockSports Girls Basketball Awards 2018 HockomockSports Girls Basketball Awards 2018 HockomockSports Girls Basketball Awards 2018 HockomockSports Girls Basketball Awards 2018 HockomockSports Girls Basketball Awards 2018 HockomockSports Girls Basketball Awards 2018 HockomockSports Girls Basketball Awards 2018 HockomockSports Girls Basketball Awards 2018 HockomockSports Girls Basketball Awards 2018 HockomockSports Girls Basketball Awards 2018 HockomockSports Girls Basketball Awards 2018 HockomockSports Girls Basketball Awards 2018 HockomockSports Girls Basketball Awards 2018 HockomockSports Girls Basketball Awards 2018 HockomockSports Girls Basketball Awards 2018 HockomockSports Girls Basketball Awards 2018 HockomockSports Girls Basketball Awards 2018 HockomockSports Girls Basketball Awards 2018 HockomockSports Girls Basketball Awards 2016 Attleboro Canton Foxboro Franklin King Philip Mansfield Milford North Attleboro Oliver Ames Sharon Stoughton Taunton Attleboro Canton Foxboro Franklin King Philip Mansfield Milford North Attleboro Oliver Ames Sharon Stoughton Taunton Attleboro Canton Foxboro Franklin King Philip Mansfield Milford North Attleboro Oliver Ames Sharon Stoughton Taunton Attleboro Canton Foxboro Franklin King Philip Mansfield Milford North Attleboro Oliver Ames Sharon Stoughton Taunton HockomockSports Girls Basketball Awards 2018 HockomockSports Girls Basketball Awards HockomockSports Attleboro Canton Foxboro Franklin King Philip Mansfield Milford North Attleboro Oliver Ames Sharon Stoughton Taunton HockomockSports HockomockSports HockomockSports HockomockSports HockomockSports HockomockSports HockomockSports HockomockSports HockomockSports HockomockSports HockomockSports HockomockSports HockomockSports HockomockSports HockomockSports HockomockSports HockomockSports HockomockSports HockomockSports HockomockSports Your source for comprehensive coverage of the Hockomock League. We provide recaps, features, standings, schedules and much more. 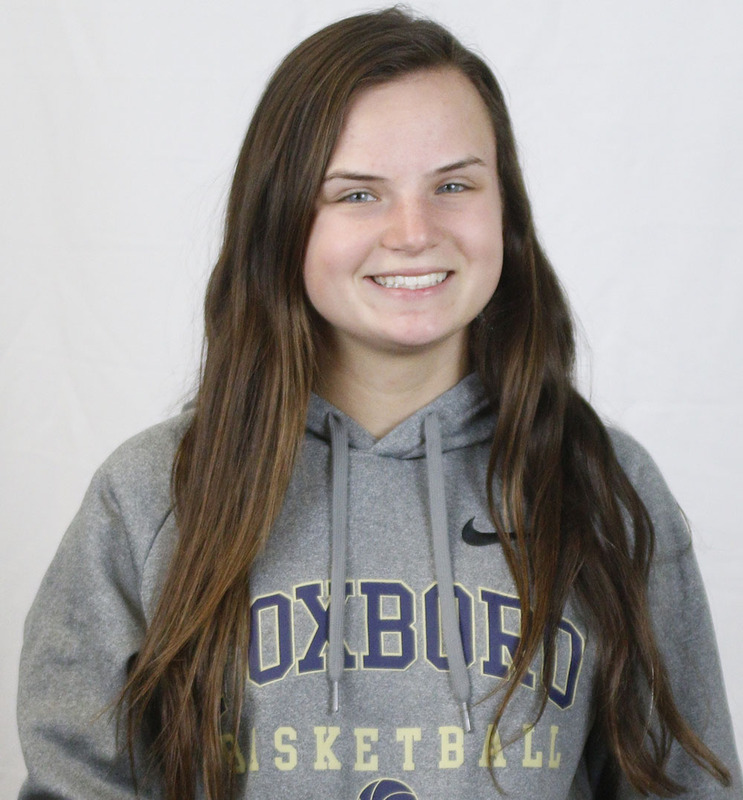 Foxboro senior guard Ashley Sampson has been named the 2018 HockomockSports.com Girls Basketball Player of the Year, the seventh recipient of the award in the site’s history and the second Foxboro player to earn this honor (Kat Tamulionis in 2015). 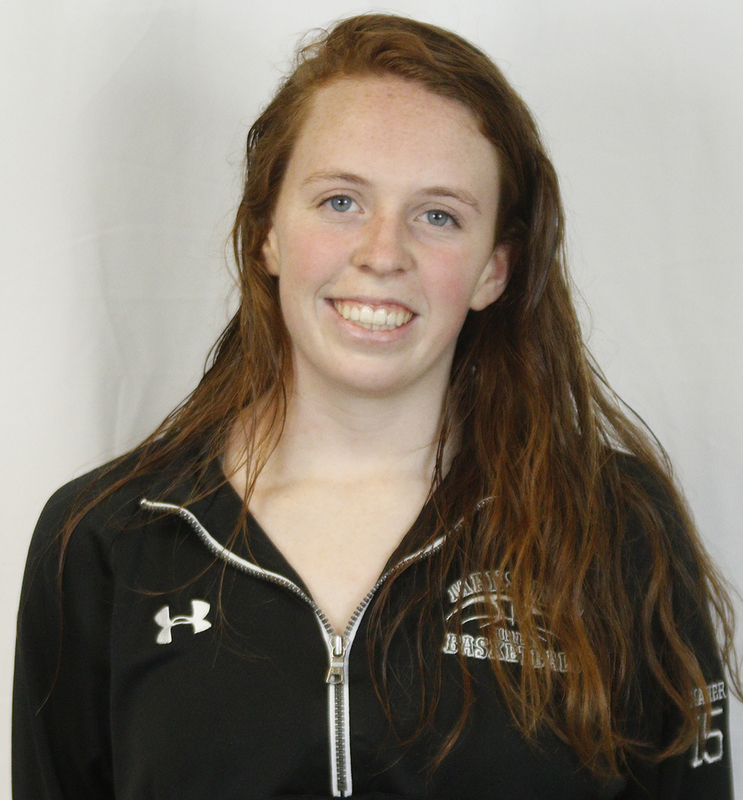 Sampson led the Warriors to a second straight Davenport division title, third in her four years on varsity, and to the program’s first state championship since 1995. Sampson averaged 19.5 points per game this season, scoring 526 for the year and passing the 1,500-point mark for her career, which is third best in the program’s history. Sampson also pulled down more than five rebounds, dished out more than three assists, and picked up more than four steals per game this season. She was an inside-outside threat, knocking down 40 threes this year, and shot an impressive 73 percent from the line. In the state semifinal against Pentucket, Sampson was held scoreless in the first half and Foxboro trailed by as many as 20 points in the third quarter, but in the fourth quarter and overtime, the Adelphi University-commit scored 20 points, including 19 of Foxboro’s final 20 points, to bring the Warriors back. The 2017 Hockomock League MVP also scored a team-high 15, including nine in the fourth quarter, in the state title game against Hopkinton, again helping the Warriors rally from a double-digit deficit. Sampson is the second Foxboro girls basketball player to receive this award and the fourth recipient from the Davenport division (Candace Steadman of Oliver Ames in 2012 and Karlie O’Driscoll of Sharon in 2014 were the non-Foxboro winners). 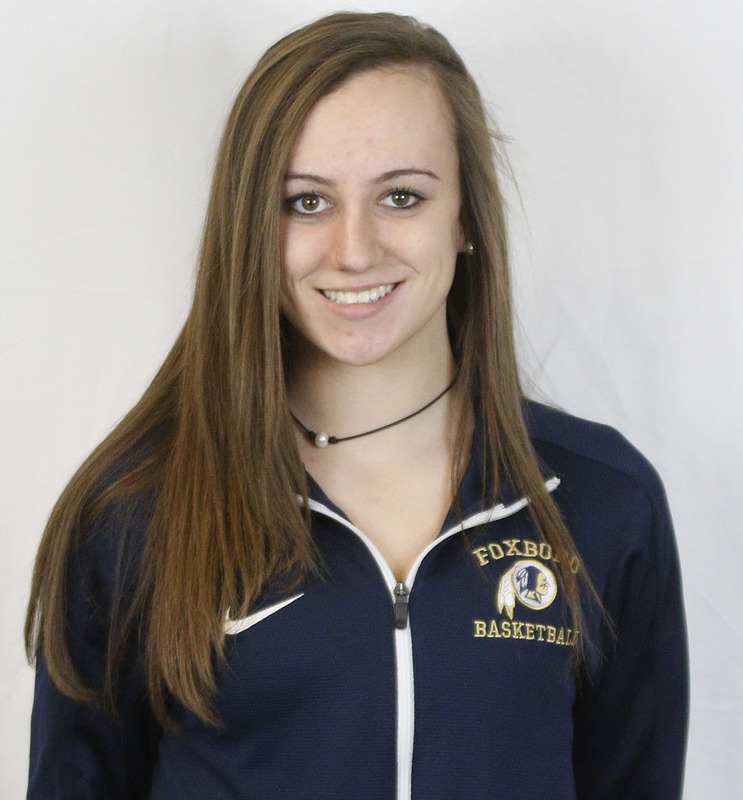 Franklin junior guard Bea Bondhus helped the Panthers book a place in the state tournament this season as the team’s primary ball-handler and as one of the Hockomock League’s most dangerous and consistent outside shooters. Bondhus averaged more than 11 points per game this season and also dished out 47 assists for the Panthers. 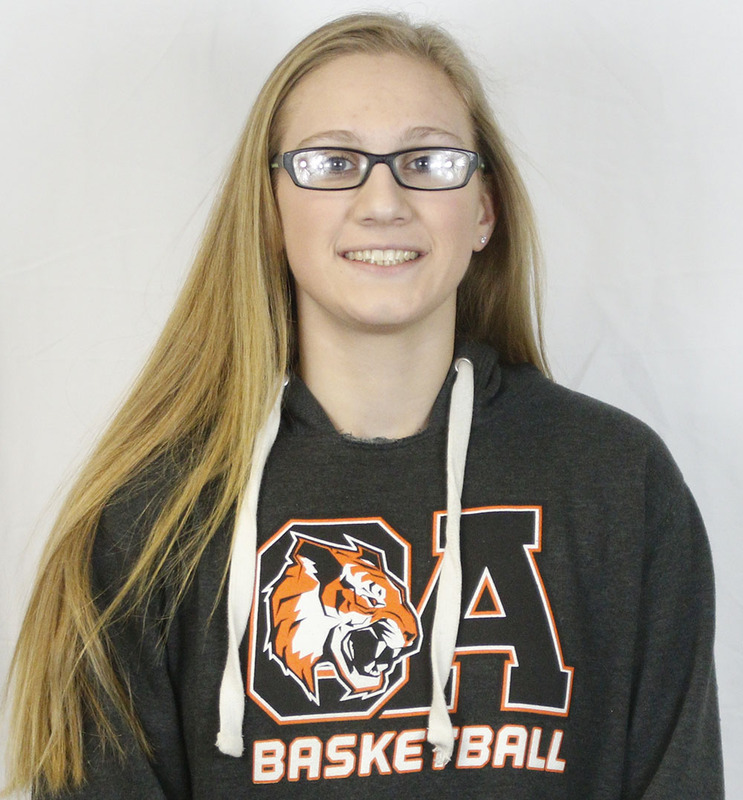 She shot 36 percent from the field and hit an impressive 36 percent of the threes that she took, giving the Panthers an outside threat to go along with the inside presence of Ali Brigham. 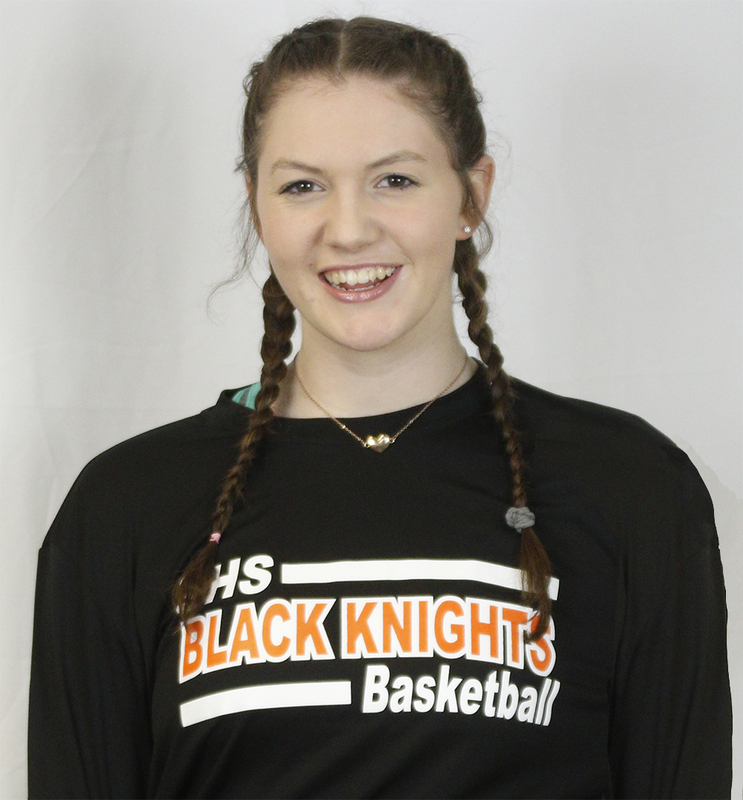 Bondhus was selected as an all-star by the Hockomock League coaches and is one of many returning players that has Franklin excited about the team’s potential next winter. 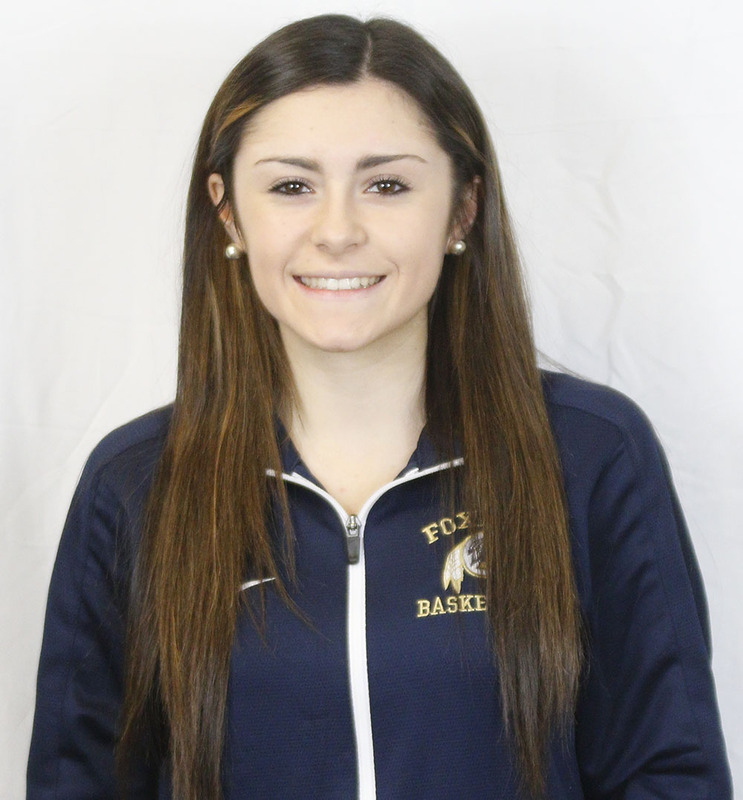 Foxboro freshman guard Katelyn Mollica made an instant impact for the Warriors this season as the first sub off the bench for most of the regular season and then as a starter during the playoffs after an injury to Shannon Smally. She played an integral role in the Warriors winning a league title and a state championship this year. Mollica averaged more than 11 points per game as a rookie, hit a team-high 60 three-pointers, and dished out more than two assists per game, while showing no fear against the league’s top guards. She has the potential to be one of the league’s best next year. “Her work ethic was evident from day one and she basically completed the puzzle for our team by adding another quick guard that can shoot light’s out,” said Foxboro coach Lisa Downs. 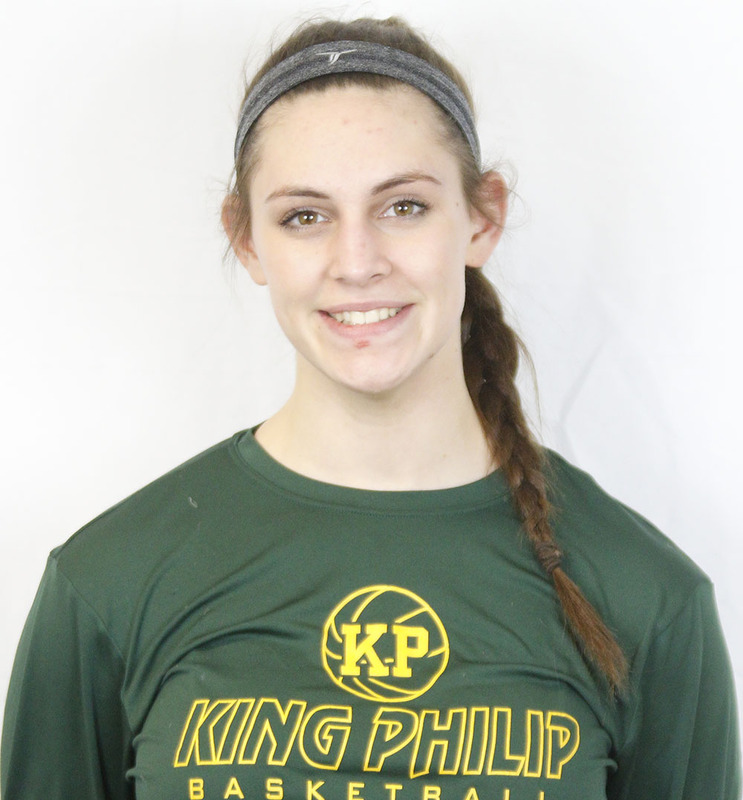 Despite missing a few games at the end of the year due to an injury, King Philip junior guard Shannon O’Connor had another stellar season for the Warriors, showing off her developing all-around game that has made her a Div. I recruit. 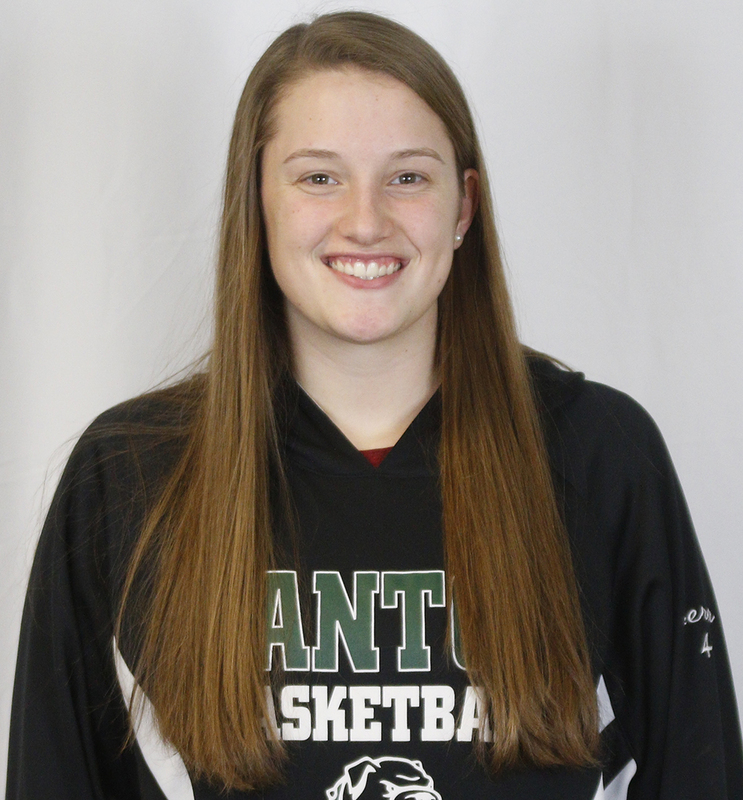 O’Connor scored 12.9 points per game this season and also pulled down 5.7 rebounds, dished out 4.1 assists, and grabbed 2.7 steals per night for a still young KP team under first-year head coach Amy Siggens, who said of the Boston University-commit, “Shannon was a huge threat for our team this season even with her missing six games. 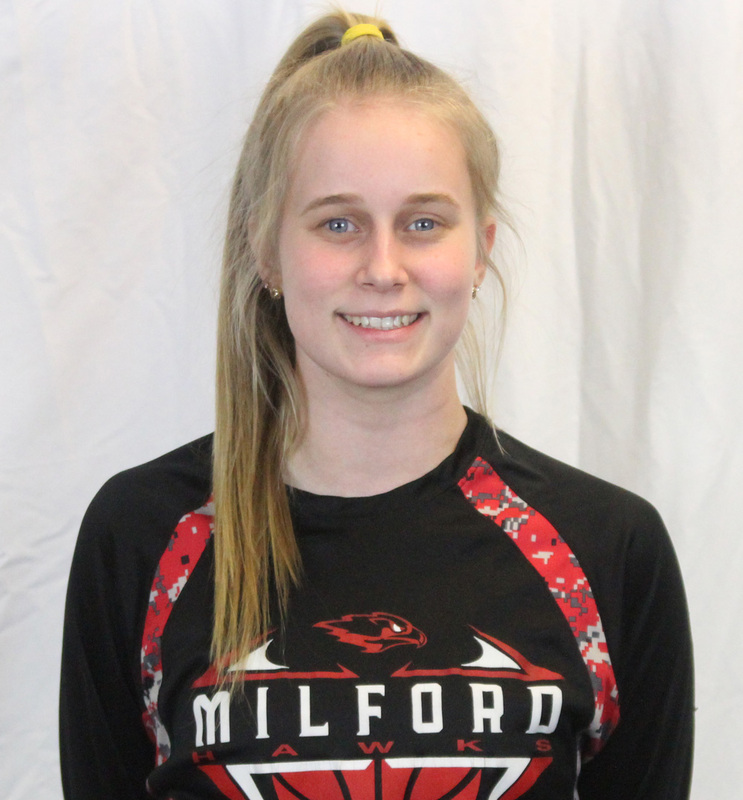 Her naturalness with the ball is something to watch and her inside and outside game continues to be dangerous.” O’Connor was selected as an all-star by the Hockomock League coaches. Franklin sophomore center Ali Brigham has been named the 2018 HockomockSports.com Girls Basketball Underclassman of the Year; the sixth season that this award has been given out to the top freshman or sophomore in the league. Brigham is the first player in any sport to earn this honor two seasons in a row. Brigham scored 364 points this season, an increase of 130 from her outstanding freshman year, which was more than 15 points per game. She also controlled the paint, pulling down a team-high 337 rebounds this season, more than 14 per game, and also had a pair of triple-doubles after recording more than 10 blocks in a game twice. 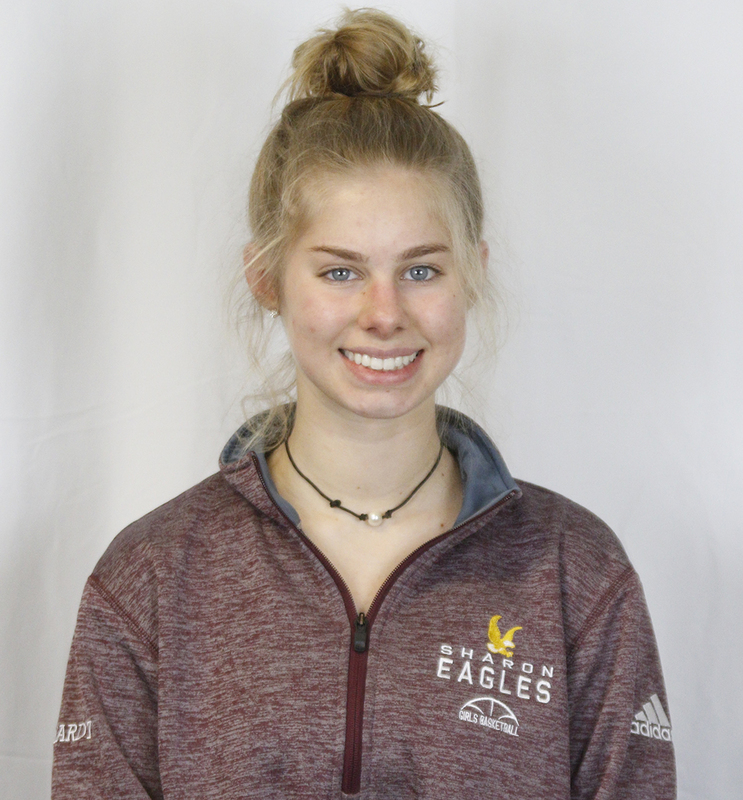 Although primarily getting the ball in the paint, the 6-foot-3 Brigham showed off a developing handle that allowed her to be an outlet against a press and step outside to get her shot. She made 48 percent of her shots overall and even made 37 percent from three-point range. 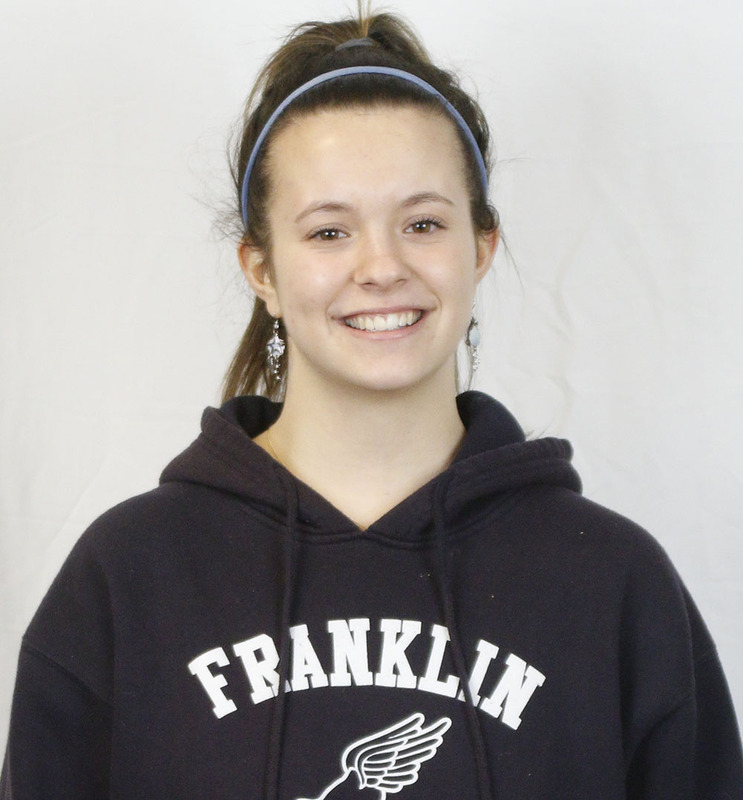 Brigham is the first Franklin player, first center, and last year was the first freshman to earn this award. 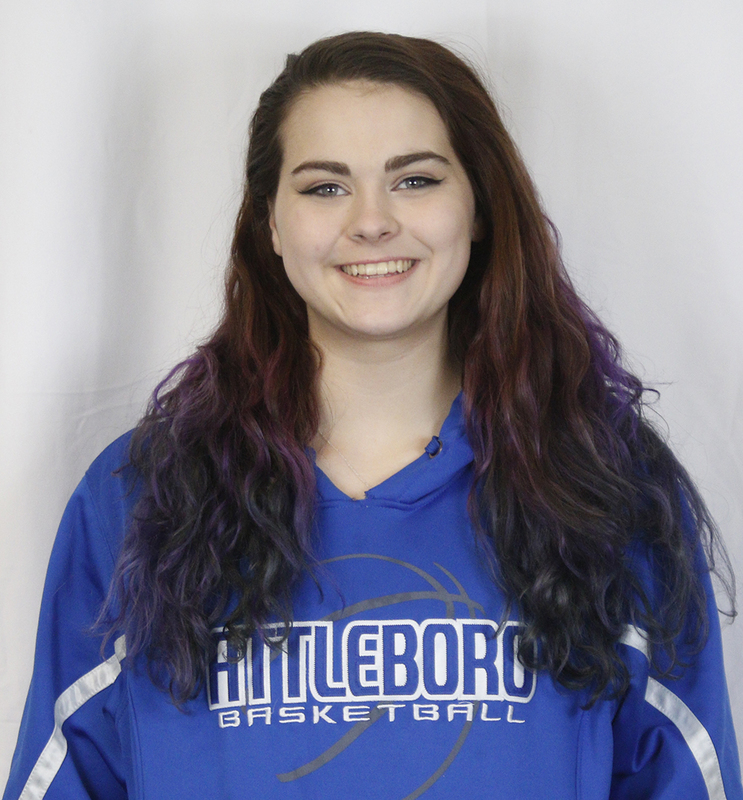 She is the third Kelley-Rex division player to be named Underclassman of the Year following Sarah Deyo of Attleboro and Caroline Maher of Mansfield. 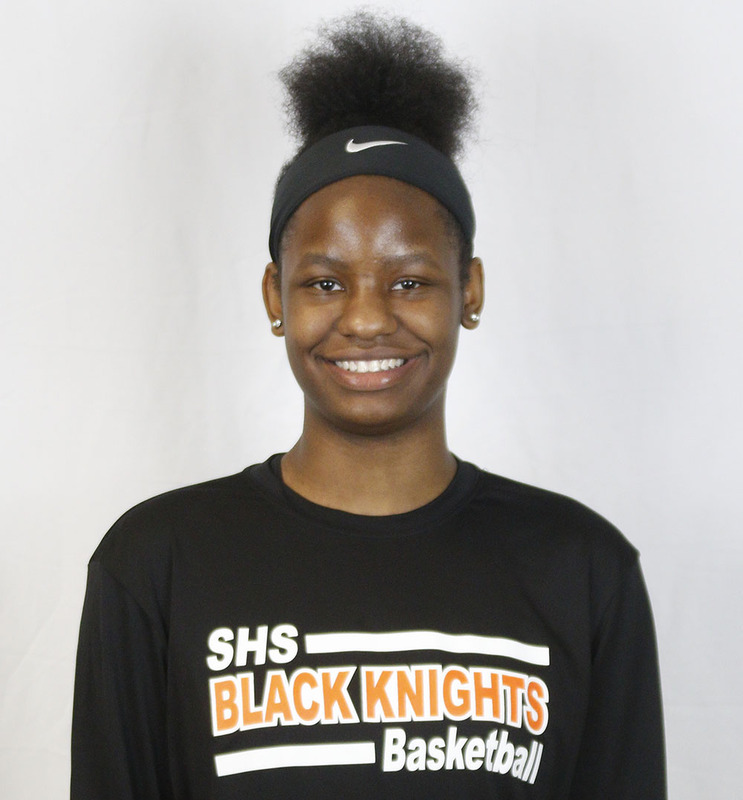 Aliyah Wright, Stoughton – Wright emerged as a go-to scorer for the Black Knights this winter with her ability to get into the paint and finish, as well as being a strong defensive presence who caused problems for opposing guards with her unique combination of size and speed and ability to guard multiple positions. 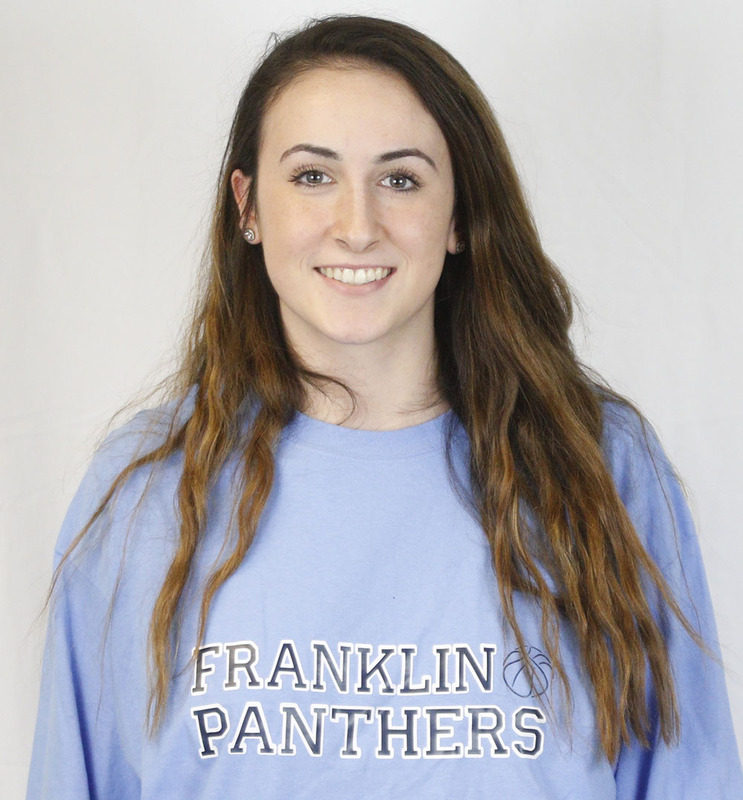 Ali Brigham, Franklin – Brigham earned Underclassman of the Year for the second straight season after another strong winter in the post for the Panthers, helping Franklin make a quick return to the state tournament. Brigham is the first player in this site’s history to win back-to-back Underclassman of the Year awards. 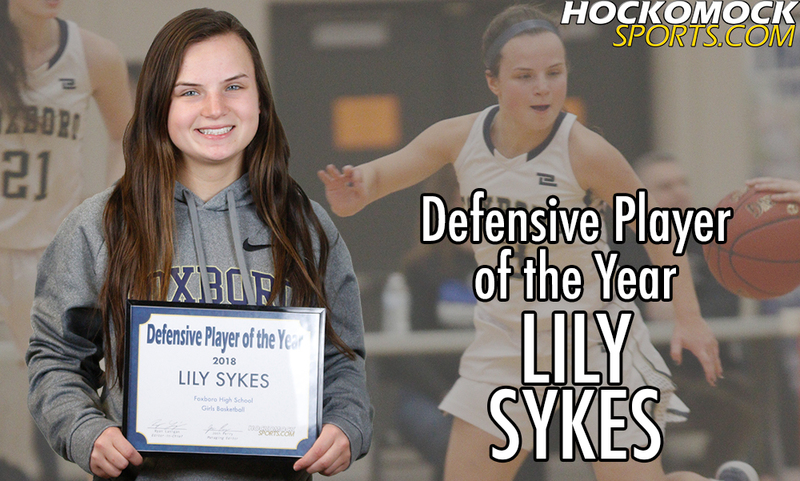 Foxboro senior guard Lily Sykes has been named the 2017 HockomockSports.com Girls Basketball Defensive Player of the Year. Sykes is the fifth player to receive this honor in the seven seasons that it has been given out and the first from Foxboro. Sykes was a constant menace for the Warriors on the defensive side of the floor, sparking Foxboro’s potent transition game by forcing turnovers and putting pressure on opposing ball-handlers up and down the court. She finished the season with nearly four steals per game and also pulled down nearly four rebounds per night from her point guard position. Her ability to be aggressive on the opposing guard and read passing lanes helped Foxboro win a second straight league title and bring home its first state title since 1995. Sykes is the second Davenport division player to win this award in its seven years, joining Nicole Daniels of Stoughton, who won it in each of the first two seasons it was awarded. 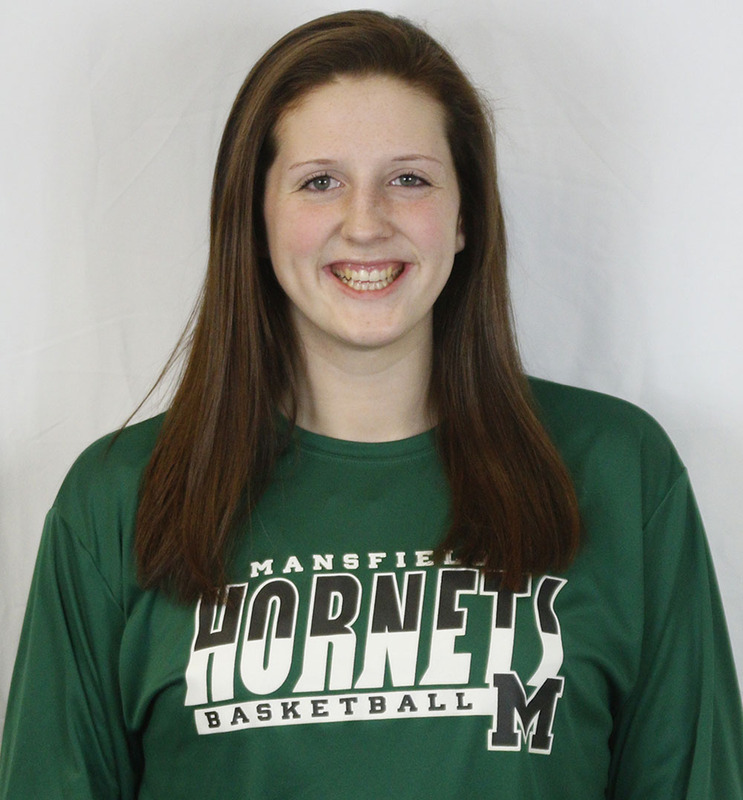 Meg Hill, Mansfield – Hill dominated the paint for the Hornets for four seasons, recording more than 1,000 rebounds and 400 blocks in her career (both program records) and helping Mansfield bring home three straight league championships and reach four straight Div. 1 South semifinals. Ali Brigham, Franklin – Brigham was a dominant force in the paint for the Panthers again this winter, recording a pair of triple-doubles by getting more than 10 blocks in a game and pulling down a team-high 337 rebounds, while earning HockomockSports.com Underclassman of the Year honors for the second straight season. Foxboro head coach Lisa Downs has been named the 2018 HockomockSports.com Girls Basketball Coach of the Year. This is the seventh year that the award has been given out and it is the second time that Downs has been the recipient. She also received the honor in 2015. Downs guided the Warriors to their second straight Davenport division title, third in four years, and a perfect 16-0 record in the Hockomock League. Foxboro went on to win its second straight Div. 2 South title and capped a 26-2 season by winning the program’s first state championship since 1995. The Warriors came back from double-digit deficits in both the state semifinal and state title game. The Warriors rolled through the season, winning its final 16 games and 26 of its final 27 after a season-opening loss to Coyle. Foxboro’s only losses of the season were against the Div. 4 state champion (in overtime) and to its opponent in the state title game (Hopkinton, which lost to Foxboro twice this season). All but four of Foxboro’s wins this season were by double digits and the Warriors also won nine times by 40-plus, four times by 30-plus, and four times by 20-plus points, while leading the league in points per game (63.7) and opponents scoring per game (36.9). 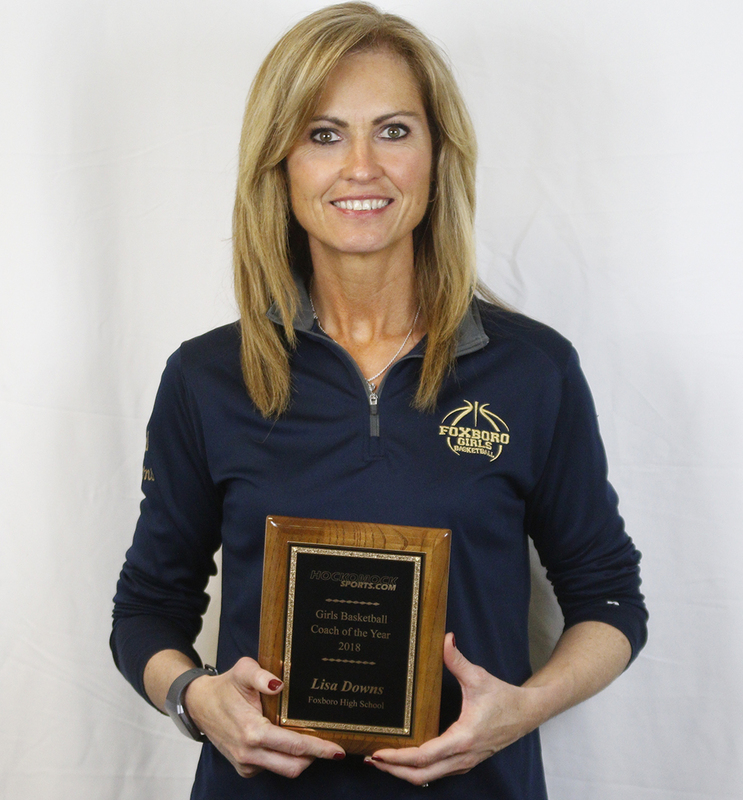 Downs is the sixth Coach of the Year from the Davenport division. Mansfield’s Mike Redding (2017) was the lone Kelley-Rex coach selected in the past seven years. Downs also joins Oliver Ames coach Laney Clement-Holbrook as the only two-time recipients of this award.